W. Haut Specialty Co., Inc. Welcomes You! - W. Haut Specialty Co., Inc.
You are here: Home › Company News › W. Haut Specialty Co., Inc. Welcomes You! Welcome to our new web presence! We’re a second- and third-generation machine shop. 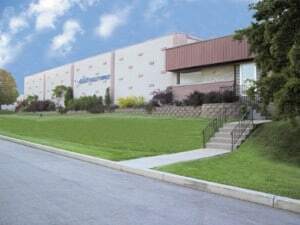 We are located in the heart of “America’s Machine Shop” – Greater Milwaukee, Wisconsin. We’ve been online for about 20 years. Now we’ve updated our online presence again to make it easier for viewers to find us and to peruse our capabilities on mobile devices, like smartphones and pads, as well as desktops and laptops. We’ve also added more social media (more about that next post). Our sitemap shows a broad overview of our capabilities. Click anywhere to drill-down for more information. We look forward to blogging about new equipment and capabilities. We’ll add photos of traditional machining jobs. We’ll also post artwork we’ve produced to artist and architect specifications. We welcome your suggestions and questions. Of course, we also welcome the opportunity to quote your project! Whether you have suggestion, questions or a Request for Quote, please Contact Us or call 262-790-0425 for more information. If you like, we can arrange a tour for you. We invite you to follow us on LinkedIn.